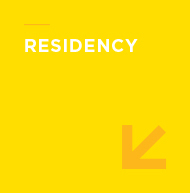 The Theatre Centre’s Residency Program is a two-year program designed to support artists in developing new work. The program is tailored to the specific needs of each participating artist or collective, and the artistic impulse or idea they wish to explore.The program facilitates a highly collaborative artistic process that embraces experimentation and learning with a wide variety of collaborators. This stage of development is critical to the creative process because it has the power to generate highly original ideas. It encourages artists to create new work from scratch, or to re-imagine an old idea – an idea that will form the basis of a potentially important work of art. The Theatre Centre turns 37 this year. We made it through our twenties, raised enough money for a place of our own, and now that our venue surfing years are behind us, we’re ready to commit to a Long-Term Relationship. 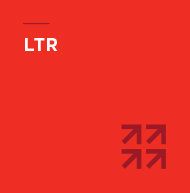 LTR is a unique long-term partnership opportunity that allows non-venued theatre companies to make our facility their home base for several seasons. So who’s moving in? 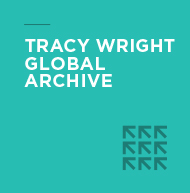 The Tracy Wright Global Archive is a project that inspires artists to explore a burning question and contemplate a new direction in their work by engaging deeply with communities and locations across the globe, seeking answers to their questions and inspiring new directions in their practice. Five established artists that represent a diversity of practice and culture that reflect Canadian experience were chosen for the 2014 launch of this program: Daniel Brooks, Jani Lauzon, Denise Fujiwara, Marcus Youssef and Nadia Ross. The Theatre Centre and Mammalian Diving Reflex have partnered to create an immersive program where 20 young people from across the GTA are invited to view, engage with, discuss, and critique the work taking place at The Theatre Centre. 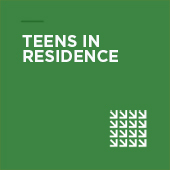 Started in 2015, the Teens in Residence Program involves young mammals working together to study social situations and surroundings, to analyze, interpret and offer recommendations for action in the form of moments, activities, and events. Exciting things are on their way for the public to experience in July 2016! See our EVENT PAGE for information on our Theatre Centre events and performances.